Cook chicken breast with mutton or bacon and 1 qt water. Add salt to taste. 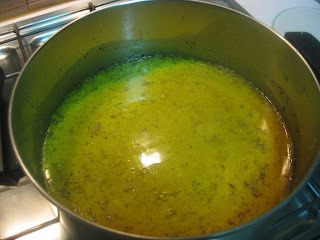 When cooked strain the broth through a woolen cloth into a clean pot and let cool. Disgard the lamb and bacon but reserve the chicken. 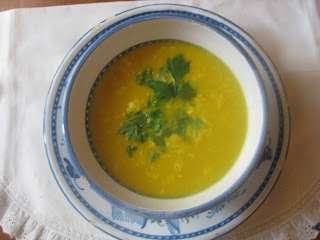 Add garlic, thyme, pepper, ground saffron, verjuice and ground almonds if almond milk desired to the broth. Bring to a boil. Remove from heat and let cool. 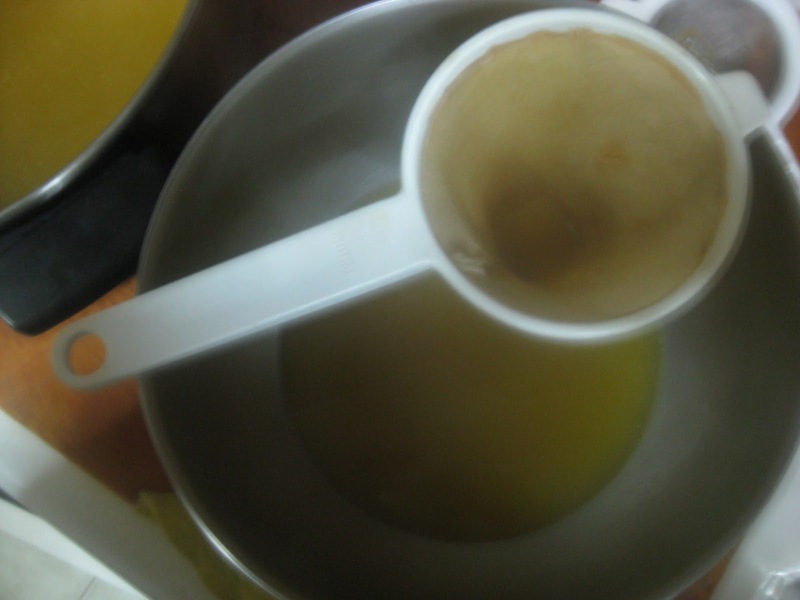 Add two egg yolks for each dish and blend them with the broth. The verjuice is suppose to prevent the eggs from curdling. Strain this through a woolen cloth into a pot and add ginger. Taste saltiness and for sourness before heating. Return to medium heat, stirring constantly until cooked. Add the chicken cut into small pieces Continue boiling until the chicken is warm. Prepare dishes and garnish with parsley.